With a passion for writing and some great new experiences under his belt, Chris Chalker is ready to take on his senior year with The Johnny Green, transitioning from the role of Student Life Editor to Managing Editor. 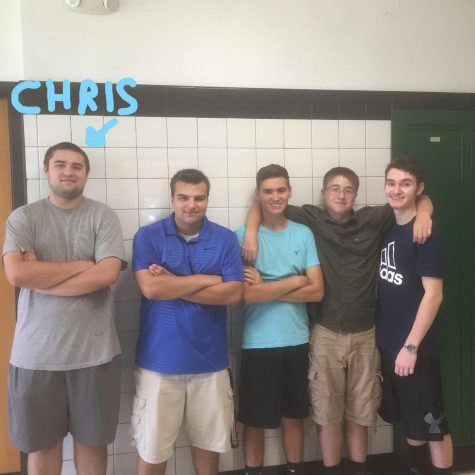 Having been a staff writer since his freshman year, Chris has a long history with the publication and created countless articles and videos. Chris has created all kinds of content for The Johnny Green, ranging from writing and directing his own TV show, “The ‘Port,” to sports coverage, opinion articles, running a production team, and television recaps. Chris hopes to become a screenwriter and write movies and TV shows. He also dreams of one day competing on and winning the CBS summer reality show Big Brother, which he has watched since he was only eight years old. Among his favorite things to do are hang out with friends, and writing. His favorite TV show is NBC’s The Blacklist, and his favorite movie is Christopher Nolan’s The Dark Knight.